* Please note there is a compulsory Kit Check on the evening of Friday 6th September 2019. The UK & Ireland Tree Climbing Competition is an unmissable opportunity for climbers of all levels to learn new techniques, improve their skills and connect with like-minded arborists. 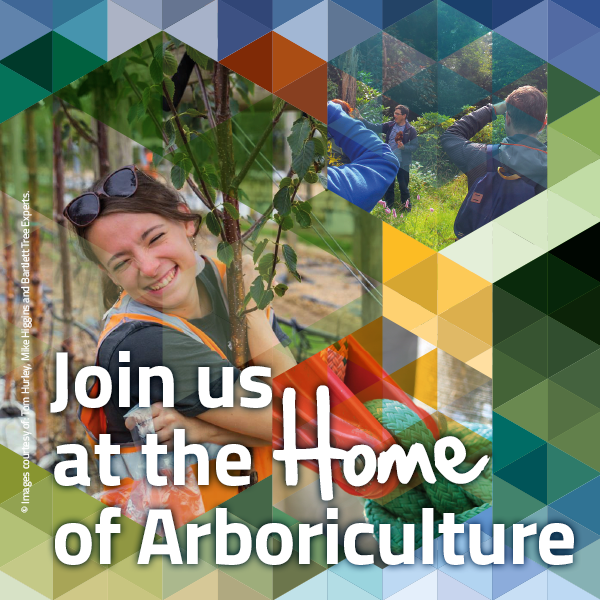 The competition aims to simulate working conditions of arborists in the field. Male and female competitors complete five different events during preliminary rounds. Each event tests a competitor’s ability to professionally, and safely manoeuvre in a tree while performing work-related tree-care tasks in a timely manner. Evening of Friday 6th September 2019 – Kit Checks. All competitors must attend. Afternoon: Final presentations at end of event. Booking will be available soon for 2019. Price: £50.00 per competitor plus accommodation if required. Climbing places will be added on a first come first serve basis so if you’d like to take part please enter as early as possible. Preliminary event: The Ascent event tests the competitor’s ability to efficiently and safely use their selected and approved ascent system. The event assesses the competitor’s efficiency in attaching the ascent system to the ascent line(s), ascending to the bell, and transferring into a descent system. The actual descent is not part of the event. Points are earned for speed as well as for meeting predetermined safety objectives. Preliminary event: The Throwline is a timed event that tests the competitor’s ability to accurately place a throwline and/or climbing line in a tree at heights between approximately 10 and 20 meters. Competitors attempt to toss a throwline or climbing line through two of eight targets set in trees. Targets vary in difficulty and number of points earned. Each competitor is allowed unlimited throws within 6 minutes. Highest cumulative points total wins. Preliminary event: The Aerial Rescue event is a timed event that tests the competitor’s ability to climb to and safely lower a climber who is unable to descend without assistance. Competitors shall perform a risk assessment, a pre-climb assessment, and an onsite casualty assessment, and should use all relevant techniques to ensure that the rescue process does not exacerbate the pre-decided injury. Points are allocated for performance throughout the event with highest points total winning the event. Preliminary event: The Work Climb tests the competitor’s ability to move about the tree using a climbing system. Each competitor starts from a staging area in the tree and is required to visit five work stations throughout the tree, performing a specified task at each station. Competitors earn objective points for successfully completing the task at each station and ringing the bell (or sounding the horn) with either a handsaw, pole pruner, or hand, as indicated. At certain stations, a competitor can earn points for completing the additional tasks. Competitors can also lose points for failing to properly complete certain other tasks. Competitors earn subjective points based on safety, control, style, poise, and creativity at the discretion of the judges. Finally, a competitor can be penalized for unsafe or uncontrolled acts at the discretion of the Event Head Judge that could result in disqualification. The time limit for this event is 5 minutes. Preliminary event: The Speed Climb tests the competitor’s ability to climb a predetermined route from the ground to 18 meters up a tree with a belayed climbing system for safety. The event is timed, and the competitor who reaches and rings the final bell of the course, in the least amount of time wins.